Judging by my last two purchases, I think that its safe to say that I am obsessed with Anchors this Summer. I recently bought this Maritime JCrew Dress on sale marked down from $98.00 to $39.99! They were also running a Summer special with 30% off, so I scored this dress for only $28.00!! Unfortunately, I think the sale is over, so the dress is now $39.99 again, but it's still a deal! I also recently purchased this bathing suit top from Vicky's for $29.99! I know, I know....it's not really that great of a deal, but I really needed it! I opted not to buy the bathing suit bottoms, because they were $20.00 and frankly, I was not in love with them. I can definitely purchase some blue, white or gold bottoms at Target or Old Navy for cheaper! 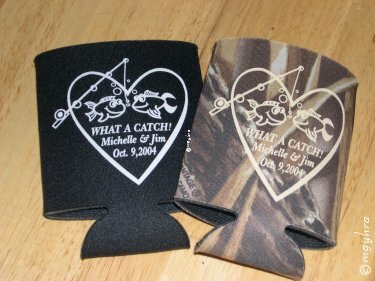 As I mentioned before, my Sister is getting married in Florida this November to a Fisherman! He runs his own business doing fishing charters out of the Florida Keys. If you ever go to the Keys and are interested in going out, message me and I will send you his info! How cute are they!? The one's I ordered are orange and white! I can't wait till they get the box in the mail! Ahhhh I love that swim top! My sororities symbol was anachronism so I'm completely obsessed too.